The Tale of Genji - Considered by some as the first novel ever written, "The Tale of Genji" is one of the greatest works of Japanese literature. 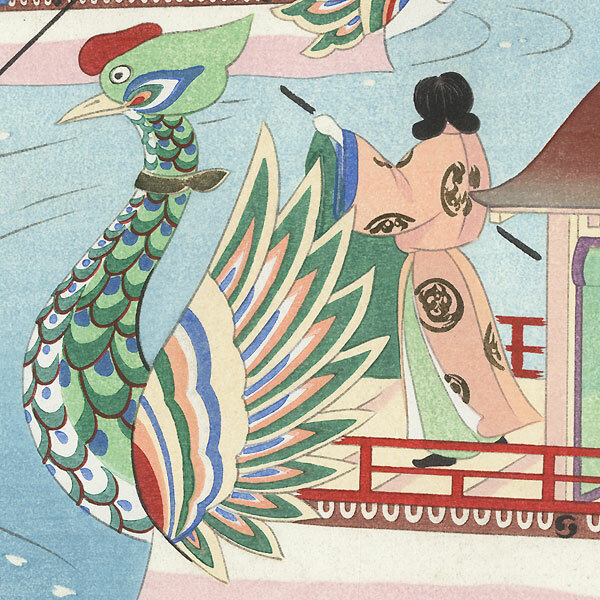 Written by the noblewoman Lady Murasaki Shikubu in the early 11th century during the Heian era, "The Tale of Genji" tells the story of Prince Genji, recounting his life, loves, and the aristocratic world around him in fifty-four chapters. 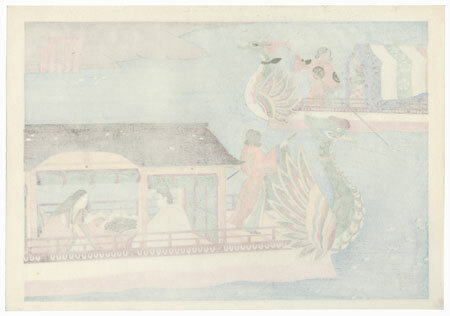 Lady Murasaki's tale of courtly life remains a classic of literature today. Masao Ebina's Tale of Genji - Noted artist Masao Ebina's elegant series "The Tale of Genji" was released in a limited deluxe edition of only 200 sets in 1953. Each of the fifty-four designs illustrates a chapter of this beloved Japanese novel. As Murasaki’s "Tale of Genji" is a very early work of Japanese literature, Masao created these lovely designs using the Kano School style of painting, with a classic sense of flattened perspectives, simplified figures, and a rich color palette. The perspective is often from above, as if looking down into the rooms of the palace, offering an intimate glimpse of the life inside. His images have a romantic, dreamy quality the captures the subject beautifully. Many designs are accented with shimmering silver or gold mica. 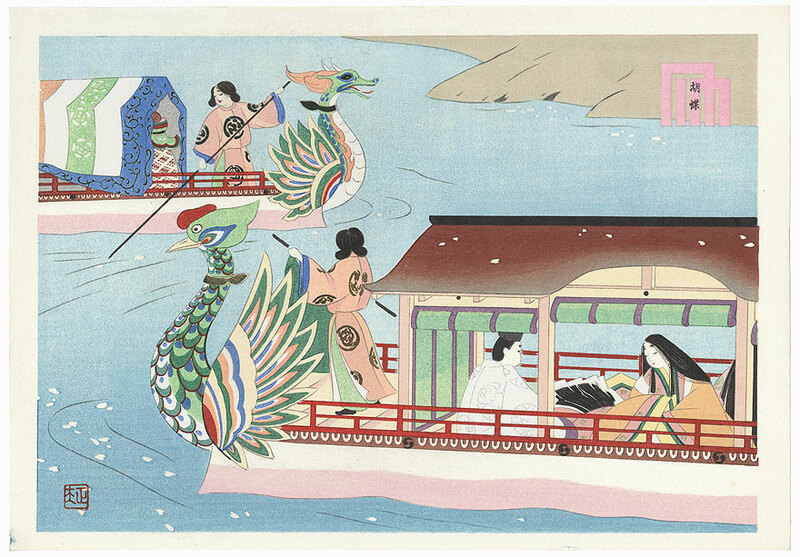 These fantastic prints from Masao's Genji series are a wonderful depiction of upper-class life during the Heian era. A great choice for anyone interested in this timeless tale. Condition - This print with excellent color and detail as shown. Please see photos for details. Generally in nice condition overall.